On the hunt for a customizable Honda Accord or compact Honda Civic to take to the best Tustin marketplace restaurant? You’ll want to turn to Weir Canyon Honda in Anaheim, CA. Here, we have an astonishing 467 new Honda cars, trucks, SUVs, and minivans for sale at our Anaheim dealership – just off the 91 Freeway. Whether you’re looking for the tow-friendly Honda Pilot, or you’re looking for the race-ready Honda Civic Type R, Weir Canyon Honda has plenty of new Honda vehicles for sale. Explore our new vehicle specials to get a great price at an already cheap Honda. When you’re ready, fill out our secure online financing form. This form will ensure you’re getting a decent price on your preferred Honda. 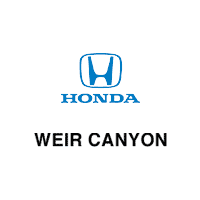 Why Lease or Finance a New Honda at Weir Canyon Honda? At Weir Canyon Honda by Anaheim Hills, we are proud to have a vast inventory of 467 new Honda vehicles for sale. But we’re also proud to offer plenty of lease specials and offers and incentives, both of which will sweeten the price on your next Honda CR-V or other Honda vehicle. In addition to our rotating selection of specials and offers, our service technicians will tune up your Honda in a pinch. If your Honda requires a more involved repair, we also offer loaner cars for drivers from Yorba Linda and beyond. Ready to get started in leasing or buying your next Honda from us? Contact us today!